The Defy is playing an increasingly important role in Zenith’s lineup — offering a modern alternative to the Pilot’s line that has dominated the discussion for so long. And there’s a lot to like about it — modern style with a hint of retro flavour. 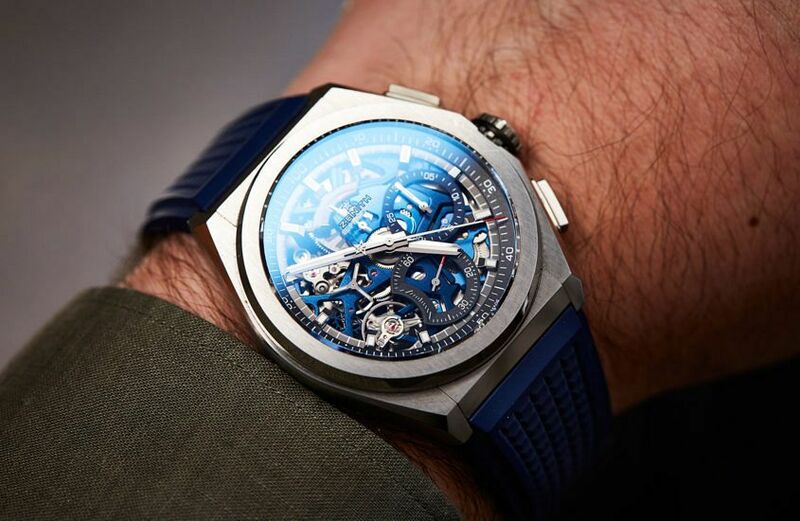 And while the Defy spans the spectrum from accessible to ultra high-end, the watch we’re looking at today — the Zenith Defy El Primero 21 — sits neatly in the middle, adding a quintessentially Zenith complication to the sporty 44mm package. That complication is, of course, the chronograph — and not just any chrono, but the mighty El Primero. 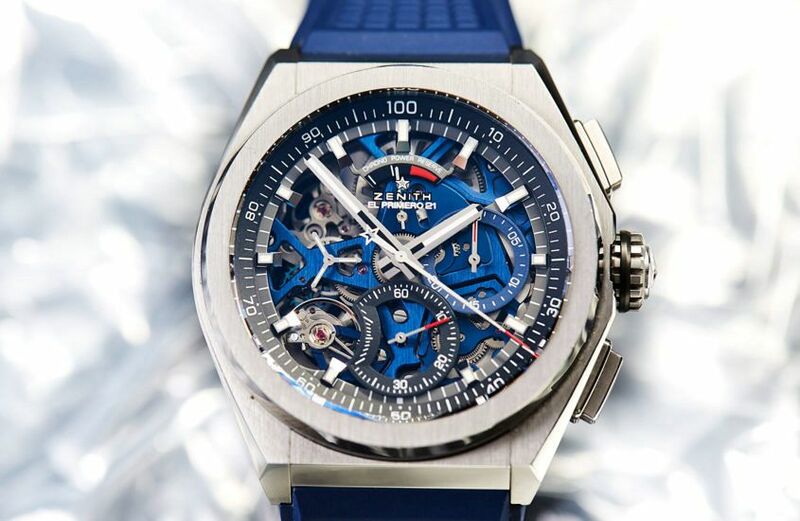 Only here it’s the El Primero on steroids — the El Primero 21. The party trick here is the fact that the chronograph is packing two escapements, one for the timekeeping, and one for the chronograph. The real kicker is the beat rate for the chronograph escapement — 360,000 vph. This means that the central hand doesn’t make a full rotation every minute, but every second (that’s 1/100th of a second accuracy). It’s a whirling, mad thing to look at, and super cool. It’s also something of an energy hog, as you might expect, which leads to that power reserve indicator at 12. 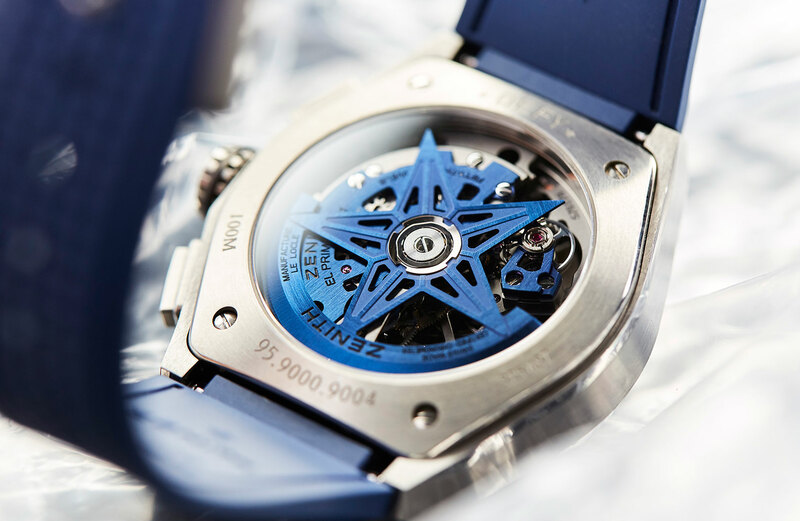 It’s specifically for the chronograph, which, when fully wound, has 50 minutes of runtime. If the chronograph is inactive, this watch is good for at least 50 hours of power. So that’s the impressive tech specs, and honestly, that’s the selling point here. 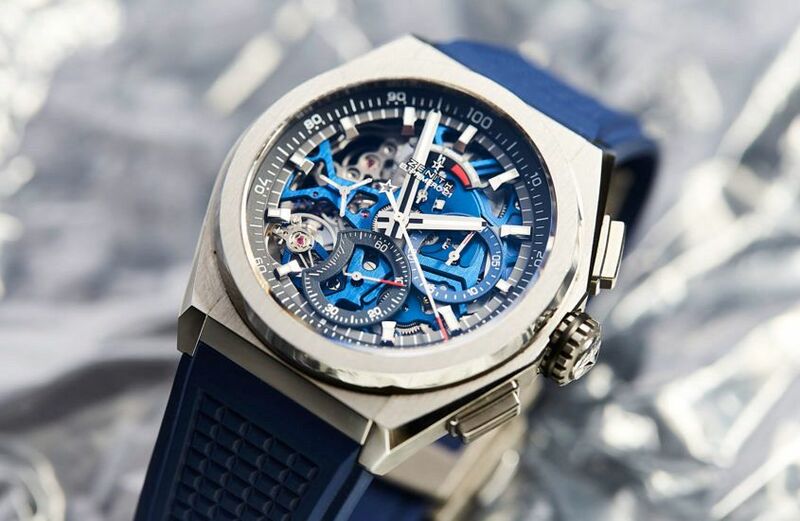 If you’re into chronographs on a technical level, this watch should be on your radar. Ditto if you frequently time high-speed events or want to impress with a next-level party trick. But what’s it actually like on the wrist? Big, but comfortable. 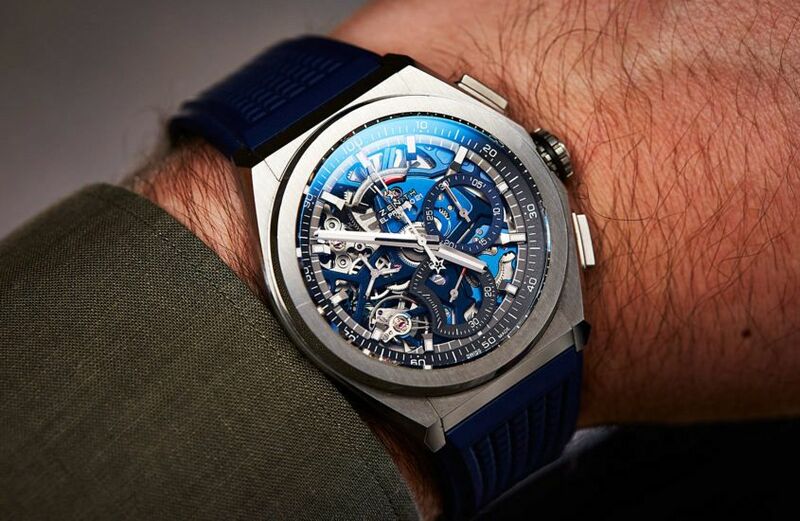 Given the mechanics involved, it’s not unreasonable that the watch wears tall on the wrist, and 44mm is large, but far from unreasonable for a modern sports chronograph. The titanium case and rubber strap combo keeps things light on, and the size plus open-worked dial ensures it packs a visual punch, albeit one very much within the clearly defined playbook for modern sports watches of this ilk. But really, this watch is all about that movement, with its blink-and-you’ll-miss-it seconds hand.